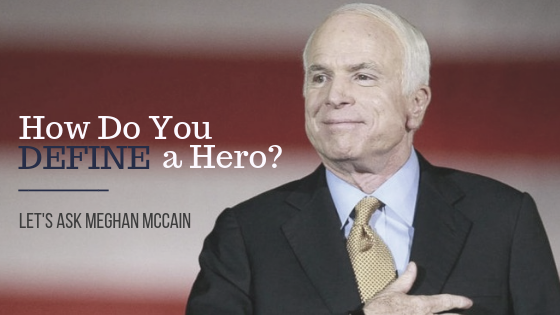 America mourned the loss of a national hero last week, that of 81-year old Senator John McCain. Perhaps you viewed the televised services where his family, friends, and colleagues celebrated, highlighted, and honored him for the profound impact he had on their lives. I watched some of the memorial service as it aired live and I was deeply touched by the tributes that were shared about him, namely that he was a man who spoke his mind freely with conviction and one who fiercely pursued his friendships, regardless of gender, financial status, or political standing. I don’t know about you, but those are qualities I truly admire in a person. Regardless of which side of the political aisle you sit on, I imagine that most every one of us would agree that this man gave much of himself to our country because of his love for America. John McCain invested his time and energy for the causes that were close to his heart over the course of three and a half decades. For his immense sacrifice, we are truly grateful. Let’s be honest. Wouldn’t most of us, especially you as men, love to have a similar description said about you at the time of your death?Consequently, I’ve been asking myself what it is about that word that defined this gentleman? Is it because he was a naval aviator in the Vietnam War who was shot down, seriously injured, and captured by the North Vietnamese, only then to be severely tortured and locked in solitary confinement for two of his five and a half years as a POW? Perhaps. Is it because he chose not to accept an early repatriation offer while in captivity, refusing to leave until every man captured before him had been released? Perhaps. Is it because he engaged in nine months of grueling physical therapy upon his return to the US, determined to fly again despite few believing it could happen, only to pass his physical exam and have his flight status reinstated? Perhaps. Is it because he was awarded the Silver Star Medal, the Legion of Merit, three Bronze Star Medals, the Navy Commendation Medal, and the Purple Heart Medal because of his actions as a prisoner of war, followed years later with receiving the Meritorious Service Medal, the National Defense Service Medal, and a Gold Star Medal, among others? Perhaps. Is it because he was later elected to the House of Representatives where he served for two terms? Perhaps. Is it because he was an Arizona congressman and senator who easily won reelection six times? Perhaps. Is it because of being named by Time magazine as one of America's 10 Best Senators in 2006? Perhaps. Is it because he twice ran for President of the United States, demonstrating a courageous willingness to lead our country while fulfilling a vision he’d had as a POW when telling other prisoners that when he got out he wanted to become President? Perhaps. Yet beyond all of that, I believe that the most significant definition of “hero” came from his daughter, Meghan, when she honored her father in two specific extraordinary ways. "I was with my father at his end, as he was with me at my beginning. In the thirty-three years we shared together, he raised me, taught me, corrected me, comforted me, encouraged me and supported me in all things. He loved me, and I loved him. His love and his care, ever present, always unfailing, took me from a girl to a woman – and he showed me what it is to be a man. My father’s passing comes with sorrow and grief for me, for my mother, for my brothers, and for my sisters. He was a great fire who burned bright, and we lived in his light and warmth for so very long. 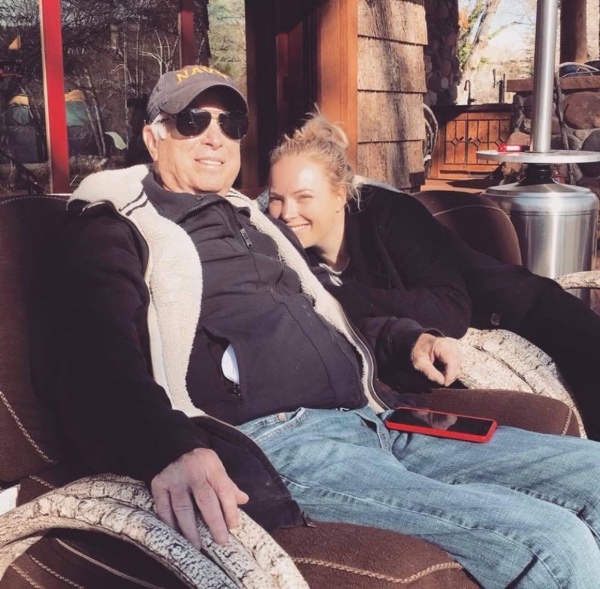 We know that his flame lives on, in each of us.The days and years to come will not be the same without my dad – but they will be good days, filled with life and love, because of the example he lived for us. My father is gone, and I miss him as only as an adoring daughter can.But in this loss, and in this sorrow, I take comfort in this: John McCain, hero of the republicand to his little girl,wakes today to something more glorious than anything on earth. Today the warrior enters his true and eternal life, greeted by those who have gone before him, rising to meet the Author of All Things." Hearing this adult daughter refer to herself as her dad’s “little girl,” and as one who sees him not only as a national hero, but most importantly, as her own, is the one endorsement that matters above the rest. And even without him here on earth to remind her that she’s valuable to him, she is committed to living each day in ways that make him proud. Without a doubt, her dad’s love will always remain alive in her. "Dad, I love you, I always have. All that I am, all that I hope, all that I dream is grounded in what you taught me. You loved me and you showed me what love must be. The best of John McCain, the greatest of his titles and the most important of his roles was as a father. 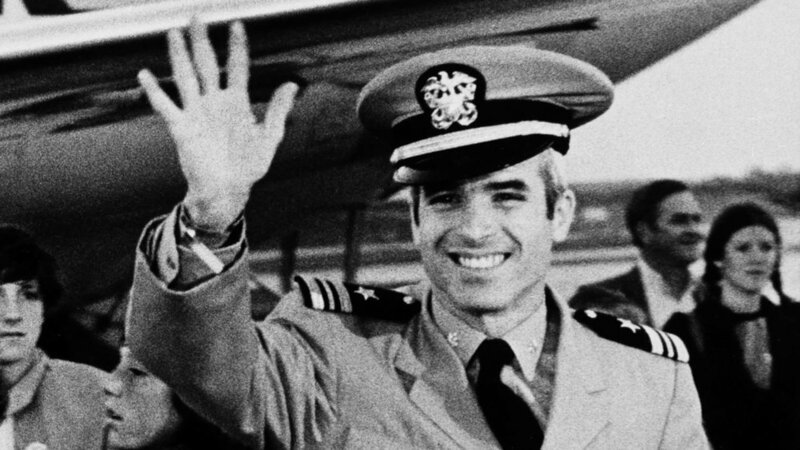 Today I want to share with you where I found out who John McCain truly was. It wasn't in the Hanoi Hilton. It wasn't in the cockpit of a fast and lethal fighter jet. It wasn't on the high seas or on the campaign trail. John McCain was in all of those places, but the best of him was somewhere else. My father was a great man. He was a great warrior. He was a great American. I admired him for all of these things, but I love him because he was a great father." We know that heroes aren’t born; they’re created when ordinary people do extraordinary things. And we also know that heroes aren’t self-selected; they’re named as such by those who deem their actions worthy of the title. Dad, it doesn’t matter what the world has to say about you if those precious lives you brought into the world don’t see the best of you. If you want to know what it a hero looks like through the eyes of your daughter, just ask her to define what a hero looks like to her. Lether responses direct you and define your purpose. Then choose daily to live up to her ideals, wishes, needs, and dreams. And remember that sometimes it’s the little things make the biggest impact: keeping your promises, listening to her thoughts and feelings, drying her tears with your shirt sleeve, responding with kindness and not anger, all the while cheering her on from the stands with no cell phone in hand to distract you from being fully present. Hi friends... 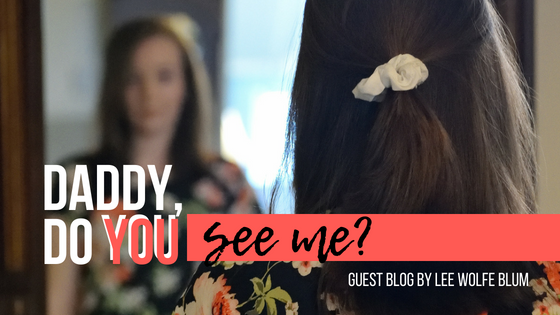 I'm excited to repost this blog from earlier this year because many of you wrote and let me know this one struck a chord with you. I trust you'll enjoy it again and let's see if it's better the second time around! And if you were there with me, the two of us would actually realize that we were standing on sacred ground. For whenever someone invites us into their deepest, most vulnerable place--that place that is raw and real, where it’s messy and complicated--we actually receive a gift. To be trusted at that level is an honor of unparalleled proportion. She longs for you to be patient with her (especially when you’re struggling the most to do so). You may be asking yourself, “Haven’t I read this post before? !” My answer is,“Hopefully YES…and please read it again!” Why? Because I’m taking the month off to rest, refuel, and continue writing my second book for dads of daughters. So for the month of August, I’ll be reposting two of my “Best of" Dad-Daughter-Friday blogs. May the second time around provide you with new insights or the chance to put something into action you haven't yet tried. And if you’re new to my blog, welcome! You could ask about her first job, her first paycheck, first car or first bad grade. Yep….all stored in the vault. Here’s how I see it. 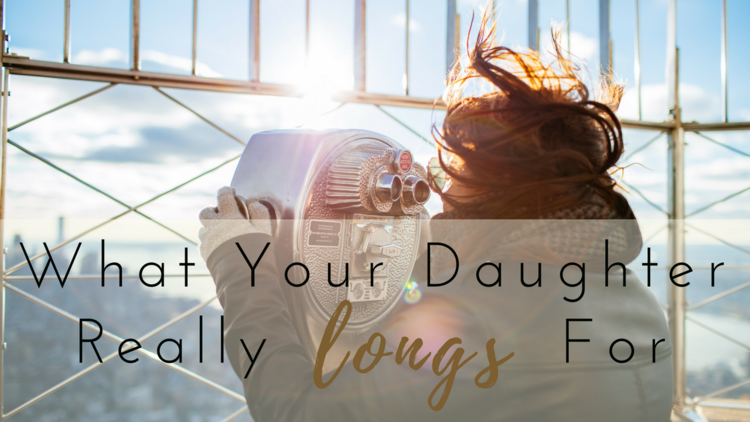 If your daughter is wired to remember firsts, then why not capitalize on that reality by being the first to do it right and get it right…all en route to her heart. Dad, what if you made it your goal between now and the end of the year to create new memories? Be the first to tell her you love her every single day so she never has to wonder if you do. Be the first to “hold their anger” without reacting harshly in return. Be the first to give of your time and energy to serve her. Dad…you have a powerful opportunity to lead the way in loving your daughter first. Decide now to make this a year of firsts, beginning by choosing one thing in the list to put into action today! Prepare to have your heart inspired by the vulnerability of my friend. 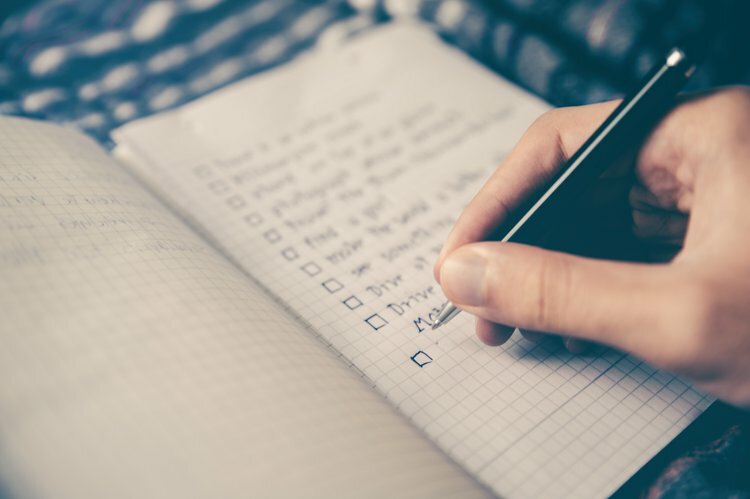 If you haven’t heard Stephen Covey’s maxim, “Begin with the end in mind” from his best-selling book, The 7 Habits of Highly Effective People, then this is a mental exercise just for you. Even if you have, I promise you, this is something as a father you want to do. Your daughters will thank me. Now don’t just skim through this. Try this. Imagine a funeral. Envision the church or venue it’s being held in. What’s the outside look like? What’s the inside look like? Imagine what kind of music they’re playing. Look around and see all the people dressed in black filling the seats. Some are there to simply show their respect. Others are heartbroken, crying and grieving the loss of a loved one. At the front of the room sits a casket, surrounded by beautiful white flowers. You can smell the roses and lilies. The volume of the music goes down and you see someone stand up. Look closer. It’s your daughter and she’s making her way up to the podium to speak. She has tears streaming down her face as she looks at the coffin. You look inside the coffin and realize the person in the coffin is you and this is your funeral. Take it one step further. Look around the room from the standpoint of the podium. Who is in the room and filling those seats? Is it just family? Are there friends present? Co-workers? Now turn those people into the people you imagine would be at your funeral. Pause here for a second. He meant THE end. Death. If you’ve never done this exercise before, it feels weird, if not morbid. Even if it does, keep going. I promise you, it’s worth it. Back to the funeral. You see your daughter look around the room before she gets ready to speak. She wipes away her tears, composes herself the best she can. She clears her throat and begins to speak about her father…you. This is where you come in. Since you’re not dead yet, you get to write your eulogy, the very one that your daughter is going to read at your funeral. What do you imagine her saying? What do you want your daughter to say about you? What kind of father will she say you were? Husband? Leader? What will she say about the impact you made? Or the lives you touched? Don’t just think about what you’ve done so far or who you’ve been so far. Dream a little. It’s okay to be idealistic. Write down everything you would hope for your daughter say about you. Even if you know you can’t do all of it or even half of it. It doesn’t matter. Just write it down. Be a superhero or whatever you want to be. I share my eulogy at the end of this article. You don’t have to read it. Use it as a template or skip it altogether. It’s just here. If you read it, you’ll see I didn’t try to perfect it, make it eloquent or even poetic. All the grammatical errors will prove my point. I wrote it for me. I didn’t write it to get a good grade from my English teacher or to impress my friends and colleagues. I wrote it so that I can see what I ultimately value as a father. So that I can see what I want my life to add up to in the end. I see it as a guide or compass. If you’re wondering why begin with the end in mind, here is why for me. Not only has it helped me be successful with projects, goals, business, and ministry, it’s helped provide clarity. No matter what, you’re going to be active every day. Why not be active in a way that allows you to know that you’re actively taking steps that are leading you to an end destination of your choice? Beginning with the end in mind will help you know whether the activities of your life are leading you to the achievements you desire and want from life. This isn’t going to be easy or even come naturally, but it will come to you. You will begin dreaming, envisioning, and writing. Your heart and soul will pour out on paper. And in doing so, you will unleash a furious love from within you. It will help you see the depth and power of your love for the girls in your life. More importantly, this will give you a way to create a strategy and a culture within your own family that truly aligns with your deep and real values. Not your resume values. I hope to see what you write someday and be inspired by it. God speed, good luck, and many blessings. It may be weird to start my dad’s eulogy like this, but if you knew him at all, you’d know this is appropriate. My dad was a shameless man. He knew what he wanted in life and didn’t care what anybody else thought. He didn’t care how he was judged, frowned upon or talked about behind his back. One of the promises he made to us was, “My promise to you is this: I will always prioritize God first, family second, and everything else comes after and the order should never change.” You know what, he really did live that out. If you didn’t know my dad, let me help you understand what I mean by that. My dad never missed a date night with me or my sister. He never missed a date night with my mom. He didn't just tell us, he showed us how much he loved our mom to set an example for us. He made sure that we knew anything less than a man going out of his way to love you is unacceptable and that my dad would never, ever want to meet someone who treated us any less than he did. Not if this guy wanted one of his girls! My dad was a serious guy, but mom told us how he put his ego, pride, and often his dignity aside to make a complete fool of himself just so he could see us laugh. Let me tell you, that didn’t change with age. My dad always knew how to make us laugh and always reminded us how important it is to pursue joy, love, family, and God over status, income, or any other rat race of life. He was an inspiration to so many, but especially us. The fact that my dad was alive long enough to get married and have kids was a miracle he never stopped being grateful for. He thanked God every day. But in dad-like fashion, he didn’t thank God with words, he thanked God with action, sacrifice, and commitment. He chose a life of reaching out to the last, the lost, and the left out because he knew that’s what he was until God found him. If dad wasn’t spending his time with his girls, he was doing what he could to make sure people like him would find the same God of love and redemption he did. Dad, we will never stop missing you and we will never stop loving you. Thank you for choosing us as your legacy. You will not be forgotten. I’m sure you’re throwing a party in paradise and forcing everyone to try your Persian food. Love you dad! Armin Assadi is the co-founder of Position Intel, a GPS tracking software company, and Santosha.co, an all natural skincare company. He has lived more lives than most---from former refugee and crime boss to vocational minister in a mega church and entrepreneur to speaker and soon-to-be published author (The Power of Belief, release date: fall of 2019). He is married to the beautiful momtrepreneur, Ashlee, and father to his two very bossy girls that have him wrapped around their little fingers, Aida (3 years old) and Aviah (9 months old). Hello friends…This is the longest blog I’ve ever written, but with this topic being in the forefront of our minds due to recent events, I have chosen to address this topic thoroughly. I pray that my story and this information will be helpful to you. I’ve heard it said that suicide is a permanent solution to a temporary problem. True as that is, when someone has suffered for years, the enduring pain doesn’t necessarily feel temporary. 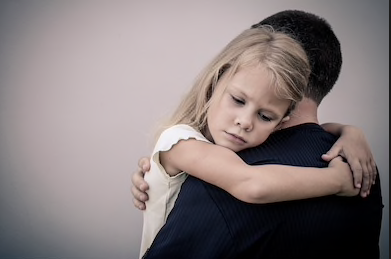 What do you do as a dad if you have a daughter you suspect may be suicidal? It’s good to initiate the topic of suicide if you have even the slightest concern about someone, which will help that person know that it’s safe to talk openly with you. (Asking about suicide won’t plant the idea in their minds about it, but instead gives them permission to talk because “the cat’s out of the bag,” and they weren’t the one to initiate the conversation). It’s good to disclose that you would be devastated if that person ever took their own life, including why it would matter to you. (I’ve teared up many times when disclosing my heart to suicidal clients, and typically this helps them release their tears while feeling that someone genuinely cares. Experts say that sometimes the individual will stay alive more for someone else than for themselves, and because I want to do everything possible to communicate compassionate care, I always remember this fact). It’s good to ask whether they feel like they want to die or if they have a suicide plan---because those are two different things. If there is a plan in place, you must take immediate action to contract regarding their safety, call their support network, or discuss hospitalization. (By asking the straight-forward question, “are you suicidal?” you are encouraging honesty. You also want to watch their body language because it also will significantly reveal what’s going on inside. Remember that it’s worth risking their anger at you for intervening in order to get them the help they truly need). Dad, I realize that this topic is heavy and intense. And I know this is a lot to take in. I acknowledge that it may be something you don’t want to talk about or look at. But you have to meet your daughter where she is at because the world she lives in is impacted all too often by suicide. Out of love for your daughter, you need to delve into these depths with her so she’s not left to tread these waters alone. Watch together Anderson Cooper’s town hall on suicide that recently aired (6.24.18). Put your money where your heart [treasure] is. Offer to pay for counseling. Tell her that you will do everything possible to find her a good counselor (by calling her insurance company for her, asking for referrals from friends, offering to drive her to appointments or to pay for Uber or Lyft to transport her if she’s unable to drive herself). Wait, I do have one more thing to add! The truest truth I can leave you with is this: Jesus and Abba Father God will hold your daughter when you can’t hold onto her yourself. And they promise to take the pain and sadness away bit by bit, exchanging beauty for ashes...and that is ultimately how pain ends. June 19, 1910. Does this date ring a bell for you? It didn’t for me either. Nor did it seem noteworthy…until now, that is. This day actually marks the first recorded Father’s Day in American history. For whatever reason, it never crossed my mind to investigate the origin of this annual holiday even though I’m passionate about focusing on fathers. So you can imagine my excitement when I discovered that this whole thing started because a daughter wanted to celebrate her dad! Here’s the brief backstory: In the early 1900’s a Spokane, Washington woman by the name of Sonora Smart Dodd decided that her father, Civil War veteran, William Jackson Smart, was worthy of being publicly honored for courageously stepping up to the plate after her mom died during childbirth, leaving him to raise a newborn baby and eight other children who were still under his roof at the time. But this story is even more incredible. William ended up as a single dad to a total of 14 children: four from his first marriage, six from his second marriage, a step father to three fatherless children from his second wife, and then became a father figure to the young daughter of his widowed sister, both whom he took in. Yet despite losing two wives to death, Mr. Smart was dedicated to being an invested single father during an era when this role for men was not necessarily the norm. Clearly, William Smart was a hero on the battlefield and in his home. With Senora Dodd leading the way, Spokane residents enthusiastically embraced this tradition of hailing fathers on the second Sunday in June each year during church services by giving them roses (red for the living and white in memory of the deceased). And because one honorable father did the right thing by singlehandedly investing in caring for his 14 children, our national holiday was born. I LOVE that the origin of Father’s Day is based on a true story of an overextended father who was the stable force in his family after he and his children had suffered great losses. I RESPECT this dad for choosing to sacrificially invest as a single parent to his children, which honestly makes me appreciate even more the foundation on which this holiday was built! I CELEBRATE that a daughter was the initiator of this national event as she went against societal norms for women of her day by leading a movement that she believed in…one that was based on love and gratitude for her father. Yet beyond simply being inspired by this dad-daughter duo, let’s now bridge the past to our present. Wikipedia captures it best: “Father's Day is a celebration honoring fathers and celebrating fatherhood, paternal bonds, and the influence of fathers in society.” I especially resonate with two of the concepts stated in this definition, that of “paternal bonds” and “the influence of fathers in society.” I believe these two themes are sequential because as bonding takes place between dads and their kids, powerful and positive societal impacts follow. Stated more succinctly, dads matter when it comes to the health of our nation. But sadly, I am compelled to acknowledge another reality. Though I would love my blog today to only zero in on positive fathering and strong paternal bonds, I must add one additional bit of sobering commentary. I write this to recognize those who have lived a different story. I know there are myriads of men and women (many whom I call my friends) who struggle to endure this day year after year due to the focus on honoring fathers. The reason for their distress is that their souls, bodies, and spirits ache because their fathers did not honor them. And because they have suffered unimaginable pain on behalf of their fathers, they have been left fractured and scarred, with deep father wounds and profound father voids. For those of you who struggle today, from my heart to yours I say: I am so sorry that you have suffered great pain and loss at the hands of your father. I grieve with you that you didn’t get the dad you needed, wanted, or deserved. And because hurting people hurt people, your dad’s own woundedness poured forth to injure you. You are more than the pain you have suffered. You are worth more than you know or believe. You are truly valuable because you’re alive and you’re here. You have gifts that have been honed in the deep places of your heartache. God never wastes pain, and as your wounds heal, you will grow stronger and give more out of a deeper well. (I speak from experience on that one). No matter what this day means to you---whether it’s hard or easy, celebratory or painful--- I trust that you’ll come to know in the depths of your being that you have a Dad in heaven who is with you, calls you His own, is proud of you, and celebrates you. And He is nothing like your earthly father who has hurt you, wounded you, abandoned you, or violated you. Your heavenly Father has made you in His image and proclaims that all He has created is GOOD. That includes you. Finally, since this holiday was founded by a daughter who championed this movement out of love and respect for her father, today I encourage you, Dad, to ask yourself if you’re being the kind of dad whose daughter would start a national holiday in recognition of you. Be the dad your daughter can celebrate today. And I wish you the happiest of Father’s Days…from my heart to yours! “I wish I could be a princess,” my 9-year-old niece Amy said longingly as we walked out of the theater after seeing Princess Diaries starring Anne Hathaway back in 2001. I’ll never forget the faraway look in Amy’s eyes as she expressed her secret wish to be in the same place as Mia Thermopolis, whose fairy tale came true after being plucked from obscurity upon discovering that she was the heir apparent to the crown of Genovia, a small fictional kingdom in Europe. My theory as to why this movie struck box office gold, yielding $165.3 million, was that it captured the heart longings of many girls (young and old) as their fantasies were captured on the big screen. As my niece Amy twirled around in the foyer that day, still in her post-movie daze, I tried to tell her about something beyond the fairy tale, about the way that we can be women who use our platforms to influence the world for good, whether or not we’re a tiara-donning princess. I’m not so sure that she fully grasped my lesson in her pre-adolescent stage of development, but I did my best to make the most of a teachable moment! This weekend the entire world will be transfixed on seeing a real life princess story unfold as Meghan Markle marries Prince Harry in London, England. Now you as a dad may think this whole thing is a bit silly and sensationalized, but I assure you that your daughter (and perhaps other women you know) may have a different opinion. In fact, I just read an article describing the royal wedding as “one of the most anticipated events of the year” with a play-by-play timeline of the entire day, starting with guests arriving at 9 a.m. GMT/4 a.m. EST up until the bride arrives at 11:59 a.m. GMT/6:59 a.m. EST, with only one minute to spare when the wedding is slated to begin promptly at 12 p.m. GMT/7 a.m. EST. Whew…that’s precision, wouldn’t you say?! I have to ask myself what it is about this type of romantic story that captivates women around the world. In my research with teen and 20-something girls, I asked them whether they ever longed to be a princess. I was told repeatedly that there is something in the heart of a girl where she longs to be chosen above all the rest. Essentially, she yearns to know that she is uniquely special, that she stands out from other girls in a way that sets her apart. She doesn’t want to blend in with the crowd; she wants to be cherished and loved just for being herself, even when less than perfect. Then I asked these girls an even more important question: How can your dad make you feel more like royalty, like a princess? So Dad, why not use the royal wedding this weekend as a conversation starter to delve into those distinctive places tucked deep inside your daughter. If you ask, I imagine she’ll share her thoughts. 1. As a little girl (or even now) were you drawn to movies about princesses? Who were your favorite characters and why? 2. Now that you’re older, do you ever think about being a princess anymore? If you did bring “the princess” back into your life, what would that look like for you? 3. Can you think of any ways that I could make you feel more like a princess? 4. If I was to fill up your love tank by making you feel more loved and special and accepted and enjoyed, what could I do specifically to make you feel those things now in your life? Have fun making this weekend one where your daughter feels like a princess because it’s always a good time to bring the princess back! 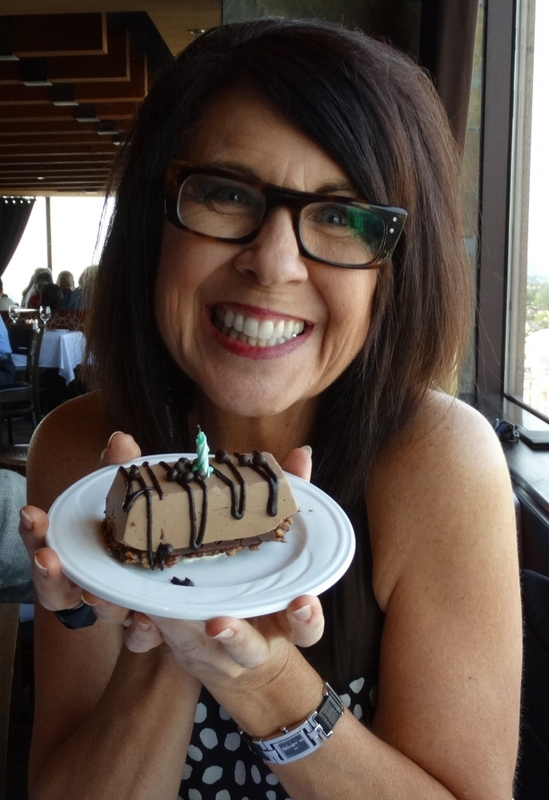 Today is my birthday and I’m 58 years old. Wow…saying that out loud really does serve as a reality check! But honestly, I’m not one of those women who keeps her age a secret (obviously). I know it’s just a number, right? Today I’m inviting you to join me in my celebration as I make a wish while simultaneously blowing out a massive number of candles on THE best homemade carrot cake ever made! (Seriously…my mom’s cake could win awards). So here’s my birthday wish: That every dad reading this blog will immediately touch base with his daughter, which will be like blowing her a kiss by speaking words of love, life, and blessing to her. I want every heart of every dad to turn toward his daughter in a renewed way…today. Now if you happen to be a dad who has a burned out bridge with your daughter, then my birthday wish for you is that you will do whatever it takes to rebuild or repair that bridge. Humble yourself, listen to how you’ve hurt her, ask for forgiveness, make amends, and then do something fun (a.k.a. reparative and restorative) together. "As I was listening to some of your podcasts today I was crying because I have been such a BAD dad through the last 30 years. I have been on a journey of trying to heal my own wounds. It’s a long story but today my daughter and I are leaving for a Father/Daughter trip to Santa Fe, New Mexico. All because your podcasts gave me the idea!!!! I’m 62 and she will be 30 this year. Thank you for sharing your lovely heart and allowing me to gain wisdom through your heart!'" Yes, this is what my heart truly longs for today and this is exactly what a father’s turned heart looks like: love backed with action. Dads, this is the best birthday present I could ever ask for!